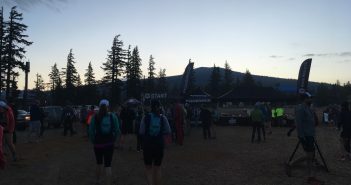 As the last stop in the Under Armour Mountain Running Series, the 50K at Mt. 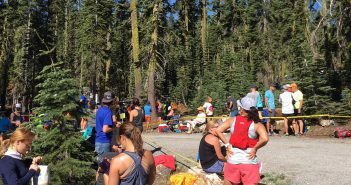 Bachelor Ski Resort was the perfect event to kick off fall racing season in Central Oregon. With morning temperatures hovering around 30 degrees, runners had no choice but to don their winter gear at the 7 a.m. start. Wildfire season has arrived, right in the midst of summer training. 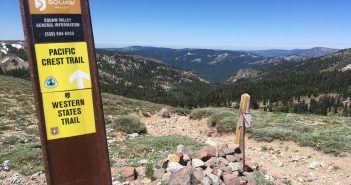 Due to some of the most hazardous air quality conditions in the country caused by smoke, this year’s Siskiyou Out Back (SOB) Trail Run in Ashland, Oregon was canceled last weekend. Lately, my inner voice has been talking and I’m proud to say I’ve been listening. It tells me to push through summer’s intense heat when I’ve got no other options. Other times I hear a faint whisper throughout a long run telling me that things are not going as planned, and just to let it go. 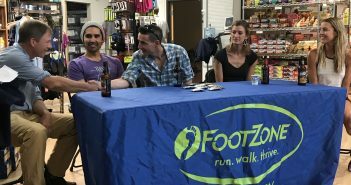 Whether it’s a medical talk on foot care or the vendor expo during the Western States 100 race registration, the feeling is overwhelming: people have gathered together from all over the world to witness this annual event. 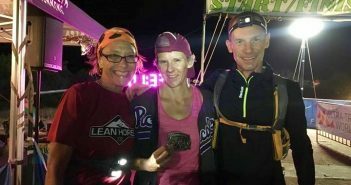 But it didn’t matter whether you were a runner, crew member, pacer, volunteer or spectator – you were a part of the ultrarunning community. It’s inevitable these days, a debilitating race anxiety hits that’s so overwhelming it’s actually scary. Heartbeats pound strong enough I feel as if my chest will shatter. Night sweats drench my pajamas. And a stomach twisted with nervous energy ensures the probability of getting any solid food down is next to nothing. Tackling new distances seems to exacerbate things, as I step into the unknown. 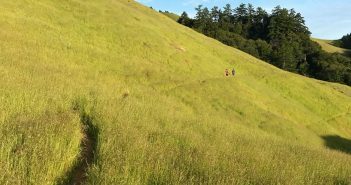 Spending my days alone in a home office keeps me longing for an escape, and a well-earned lunch of fresh air and vitamin D on the trails is often the highlight of my day. 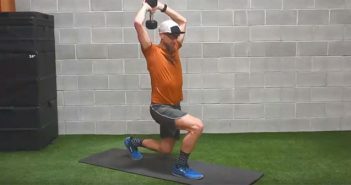 And while I run regularly with others, we typically don’t make a habit of analyzing our training plans. That’s where the services of a coach can come in handy. Here are a few things to consider when looking for someone to crack the proverbial whip. Stories of canceled flights, food poisoning and illness have circulated as unfortunate reasons for a DNS (did not start). But never in my 16-year, long distance running career have I ever faced an obstacle while getting to the race start. During the hour just before dusk, I was on a trail in the Columbia River Gorge trying to chase a cutoff during the Gorge Waterfalls 100K. Everything around me was already dark due to the tall Douglas fir trees and thick vegetation. 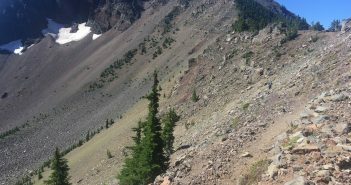 My headlamp was at the next aid station which still seemed miles away. 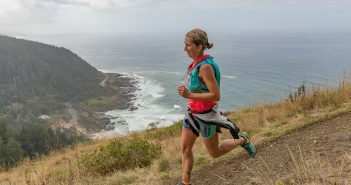 Think back to your first year running ultramarathons. Remember those nerves that stemmed from stepping into the unknown? How many times did you ask yourself if you’d be able to go the distance? 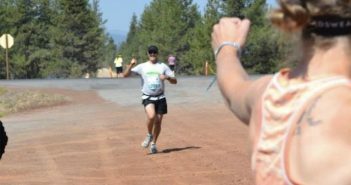 What did crossing the finish line of your very first ultra do for your confidence? 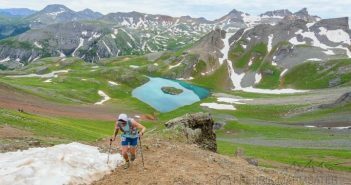 As you begin to dive into the final weeks of training for spring ultras, consider which of your running compadrés might need a crew or pacer this season. 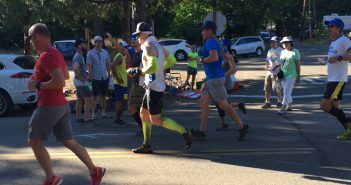 With the pacer request page recently launched on the Western States website, there’s no guarantee all registered runners will be able to bring along someone to support them during the 100-mile adventure. Racing season has arrived. 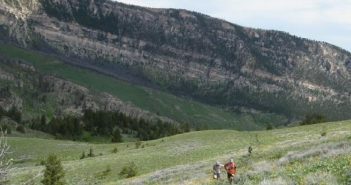 There’s no better time for those of us both old and new to the sport of ultra running to remember that trail etiquette can make or break a hard-earned race experience. 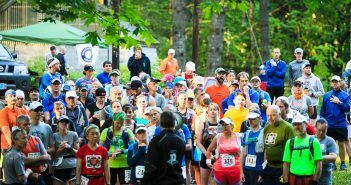 Just last weekend, I was reminded how small things can have a huge impact in even the shortest of trail races. 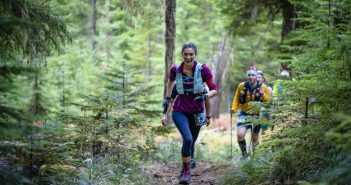 If you’re like me, you’ve dreamt of running a 100-mile race at some point in your life. As that dream starts to become a reality, it’s easy to dive into the dirty details. Which race will take my 100-mile virginity? Who will crew and pace me? 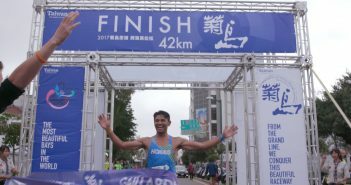 How will I get myself and my crew to the race? Sound familiar? A never-ending list of logistics doesn’t need to get in the way of running a hundo. 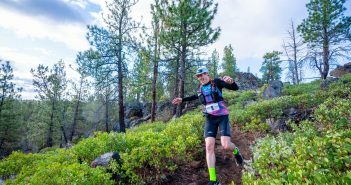 The Triple Crown of 200’s is awarded to the fastest runner who completes the three original non-repetitive 200-mile trail running courses in the U.S. in under three months. 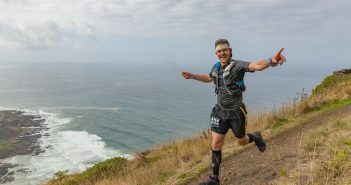 This year’s winner, Mike McKnight, went and elevated the definition of extreme ultrarunning without giving in to the pain he’s worked so hard to push through. 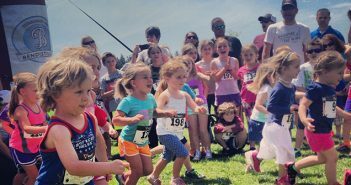 Imagine a high school track star who dared not run distances longer than 800 meters, but would eventually grow up to find herself finishing (and winning) 50 and 100-milers. That’s exactly what Nebraskan Stacey Buckley is doing, and she’s just getting started. 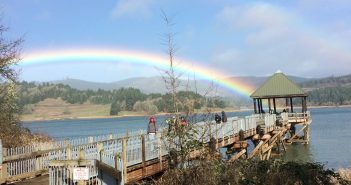 The mystical beauty of the Oregon Coast harnesses thousands of visitors every year. 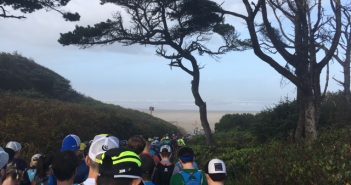 Just drive Highway 101 any time between Memorial Day until the kids to return to school, and you’ll find a steady stream of cars filled with those who are dying to dip their toes into the 50-degree temps of the Pacific Ocean. 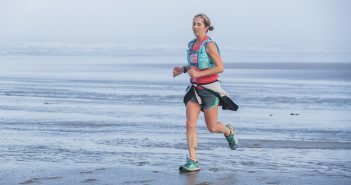 Which is why early October is perfect for the Oregon Coast 50K, as runners begin looking for peaceful shores and deserted trails without having to worry about dodging seasonal tourists. With summer fading into a distant memory, you may already be reminiscing about sitting around the campfire under the stars. No matter what your age, those memories of being outside next to the crackling fire never seem to fade. 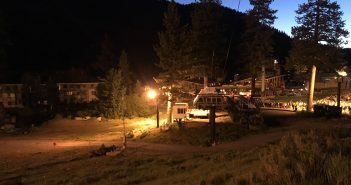 Now imagine you’ve just finished a full day of running camp with Jeff Browning aka “Bronco Billy” and Karl “Speedgoat” Meltzer. 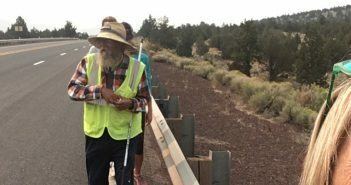 I sit here writing as three of my favorite trail systems across Oregon are being devastated by wildfire. 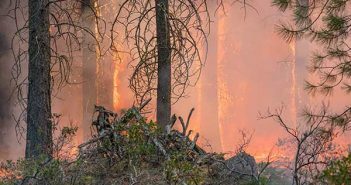 As a former wildland firefighter, I understand that what may seem like a catastrophe can actually benefit an ecosystem. 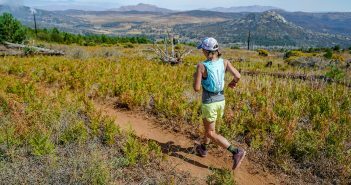 But as a trail runner, I continue to struggle with the fact that the lush trails full of thick vegetation and old growth trees are being scorched and burned away. 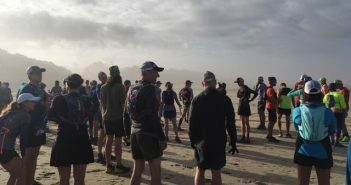 In the remote world of ultras, quick communication is key when it comes to finding lost runners and saving lives. 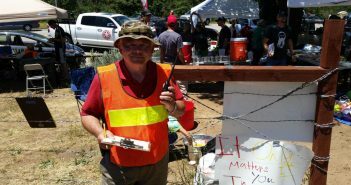 With cell coverage spotty at best in most mountain ranges, ultra marathons must rely on the expertise of local ham (amateur) radio operators.